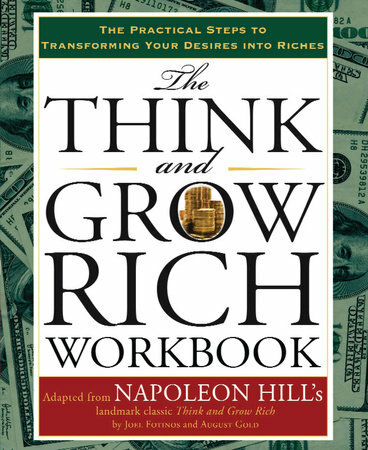 For the millions of people who have read and loved Think and Grow Rich, here- for the first time-is a workbook and companion to the classic bestseller. With its life-changing thirteen-step process, Think and Grow Rich has been a blueprint for countless many on their road to riches. Now, for the first time, readers and students of this powerful program will have this beautifully designed and user-friendly volume for use alongside the classic. * Journal sections to record answers, thoughts, next-steps, and "wins"
* Lists, ideas, tips, and much more! The Think and Grow Rich Workbook is the best guide for anyone who wants to turn their dreams into reality. Napoleon Hill was born in 1883 in Virginia and had a long and successful career as a lecturer, author, and consultant to business leaders. His Think and Grow Rich is the all-time bestseller in its field, having sold millions of copies worldwide, and setting the standard for today's motivational thinking. He died in 1970.